ARE YOU READY FOR MORE YUMMILIOUS PICTURES! Nothing beats home-cooked food. And nothing beats my grandma's awesome dishes. Here's a taste of her creations! 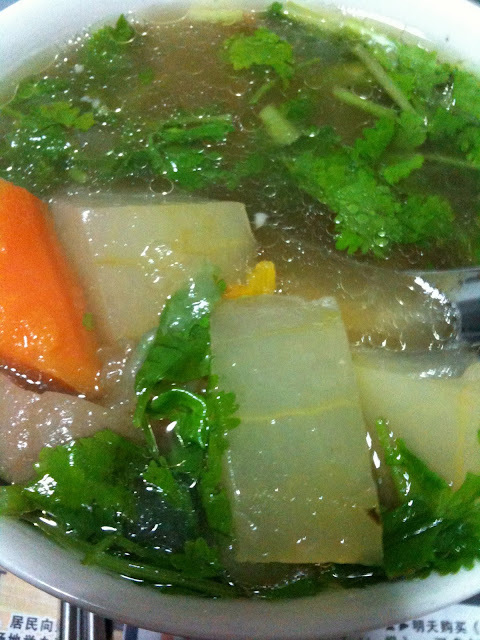 Did you notice the chinese parsley she adds into every soup she cooks? It's meant to make it even more aromatic. And it's also good for health! The pictures are making me crave for them! I've never drank so much share tea in my life. The cash vouchers given during my Orientation Week almost killed me. LITERALLY. I didn't know why i ended up with ~$300 worth of the ShareTea Vouchers. You must be thinking why i didn't sell it right? I was too smart, thinking i could finish them despite the expiry date being 2 weeks away. There are quite a few outlets by now. When i first drank it, it was at the Wisma's outlet and i tried the Yam Ice Blended with Pudding which was indeed a refreshing drink, great for a hot afternoon dessert. The pudding used is smooth and curdly and i think they made it themselves. 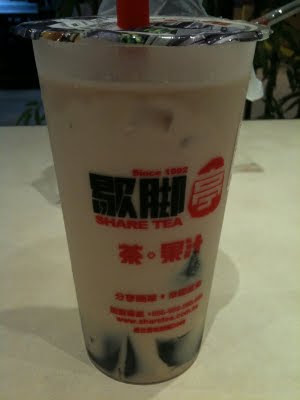 Unlike some bubble tea outlets which uses the packaged caramel pudding sold off the shelves in supermarkets.